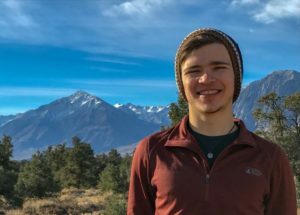 Garet Bleir ’18 drove cross country last summer to Utah, Arizona and Colorado to take on a complex investigative journalism assignment. He was hired to investigate alleged human rights and environmental abuses involving uranium mining in the majestic Grand Canyon region. Bleir was one of 15 honors students awarded funding for their capstone work to help them further pursue even more ambitious and in-depth projects. The honors capstone project is a two-year research, creative or professional thesis in the student’s major and is guided by a faculty mentor. The Crown Awards, which are up to $5,000, provide reimbursement for research materials, supplies and expenses; research travel; and other expenses. Students are also funded through Lynne Parker awards for women in science and Wise-Marcus 50-Year Friendship award for creative work. Read more about this year’s Crown Award winners here, and visit our Capstone page for information about how to apply!